Hi guys, and welcome to a new Top Ten Tuesday! Today’s all about books to read in one sitting. 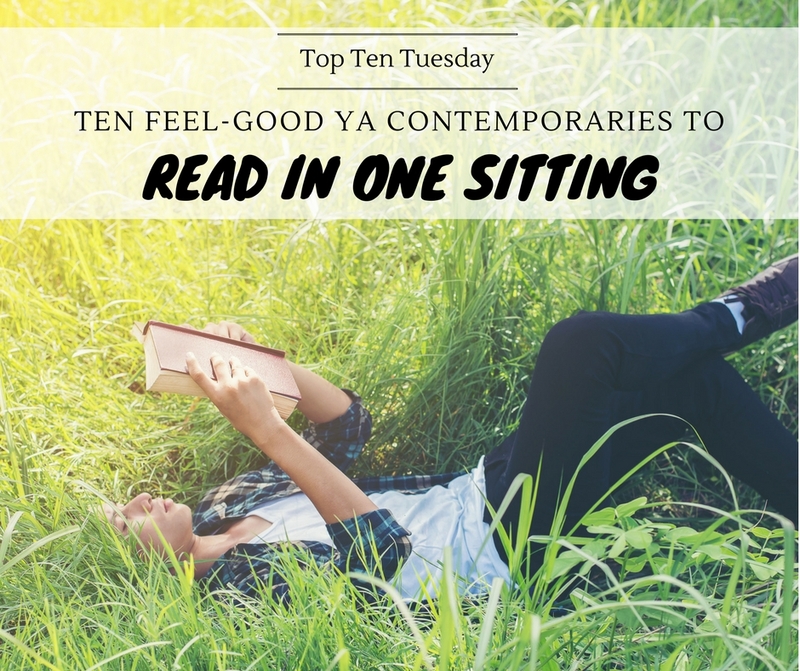 Now, when I think about one-sitting reads, I think about feel-good YA contemporaries. Because as much as I love fantasy, I usually try to pace myself a bit more while reading it and make it last. Contemporaries, on the other hand, depend on the subject matter. Heavy, dark contemporaries dealing with tough subjects take more time to read. Because they’re tough and I need time to arm my heart. But fluffy, adorable, feel-good contemporaries? I INHALE READ THEM. So yes, the books most likely to be read in one sitting by me are the feel-good contemporaries. These are perfect reads for a self-care day. Get a blanket, snacks, drinks and anything else important within arms’ reach, settle in, and GO! Simon is my go-to feel-good read, so of course I had to start with this one. Get ready to have the hugest smile on your face after reading this cute story. Instant self-care! Really, any Kasie West would do. I chose P.S. I Like You because it has my favorite trope, quirky families and a love of music, which always warms my heart. This book won’t only make you feel good, it’ll also make you want to pack your bag and leave on a backpacking trip around Europe right away. Perfect for when you want to get in a travel mood. Oh hi, penpal romance, have I mentioned I love you lately? Because I do. Add friendship, waffles and a love of words and I’m sold! 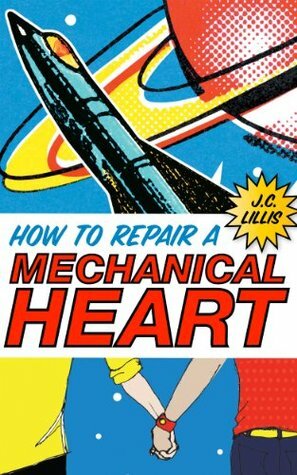 How To Repair A Mechanical Heart is such a heart-warming and hilarious look into fandom life. It’s funny, it’s quirky, it’s unapologetically fangirly. It has so much heart. And it’s basically one big roadtrip. What’s not to love? 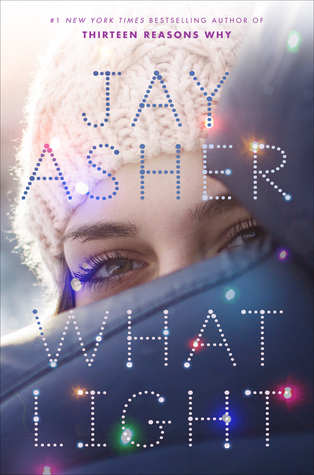 What Light is the perfect feel-good read if you want to get in the Christmassy mood. It has all the Christmas staples and could possible even make the Grinch want to decorate their Christmas tree. I think this is pretty much the classic YA contemporary romance out there and it is worth all the hype! If a boarding school romance, friends falling in love and a Paris setting rock your boat, then this is the book to read for you! Morgan Matson’s books are usually a bit longer, but that doesn’t mean they can’t be read in one sitting. You can do it! Especially this one is one of my favorites, as it features friendship and LISTS! 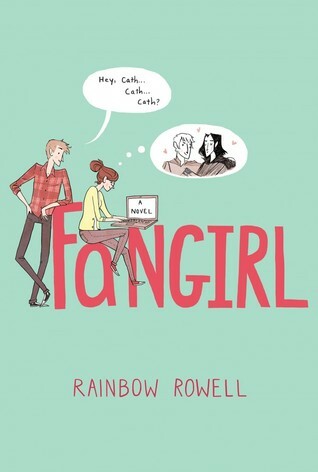 Rainbow Rowell is another contemporary YA (and adult) classic and especially her Fangirl is a favorite of mine. 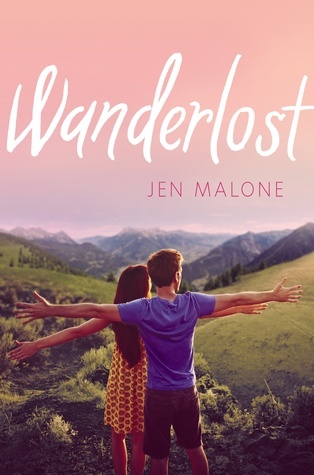 A relatable socially awkward heroine who loves Simon and Baz fanfiction, a lovable romance and a lot of heart make this a perfect feel-good read. what are your go-to, feel-good, one-sitting reads? Any favorites in this list? So many of these look fun! 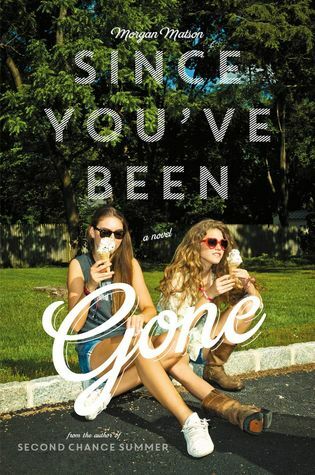 PS I Like You, Wanderlost and Tell Me three Things- and I loved Fangirl! that was a fun book. I really enjoyed Anna and To all the boys as well 🙂 they were so adorable ! I’ve read most of the books of your list! 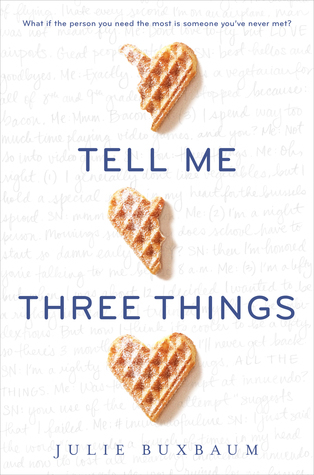 I love tell me three things and P.S. Ilike you! What a lovely fun selection! I’m loving Mechanical Heart and Fangirl — it’s soo fun to see authors take on fandom! Fluffy contemporaries are the best to read in a day!!! I had Tell Me Three Things on my list too. I know I read a bunch of these on your list really quickly too – Fangirl for sure. I read all her books super quick!! Great list! I read Simon in one day too!! It was too good to put down. I REALLY need to read Fangirl. It really is! Before you know it, an entire book has passed! And then I’m sad that I read too fast and didn’t stretch it out more, but okay 🙂 Fangirl is so much fun too! I’ve read and loved a few of these! I agree with all of them too. 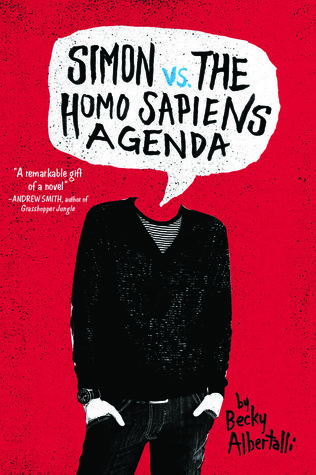 Simon is a perfect read in one sitting book. I’m finally about to read To All the Boys. I’m excited! Oh, I loved To All The Boys, it was so cute 🙂 Hope you’ll enjoy! Kasie West is so easy to knock out in a day. I seriously love reading then because of that. I can sit down, enjoy the book and take it all in. Thanks for the post . Nice list! Wanderlost sounds really good. I haven’t read any of these but I definitely agree that a happy, fluffy book is perfect to read in one sitting! They are 🙂 It’s the perfect little breather in between reading epic fantasies or darker themes. 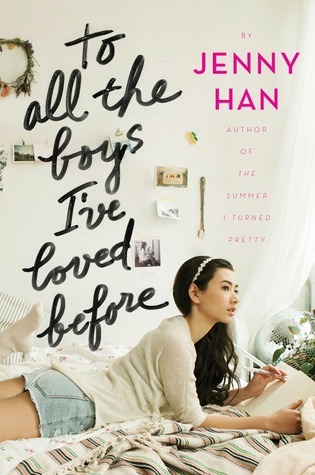 To All The Boys I’ve Loved Before was on my list too. 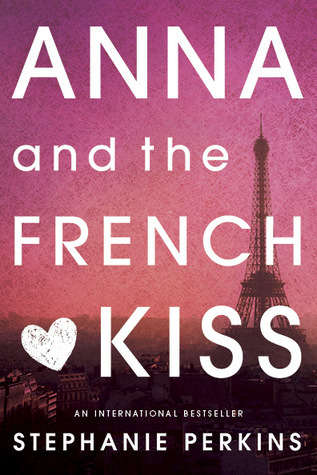 And I totally agree about Anna and the French Kiss. I devoured that book. So many of these are on my TBR list! I’ve read To All the Boys I’ve Loved Before and Fangirl but haven’t read any of the others yet. Great list! I haven’t read any of these but What Light is on my TBR, I’m saving it for Christmas. AHHA MOST OF THESE ARE MY FAVS! 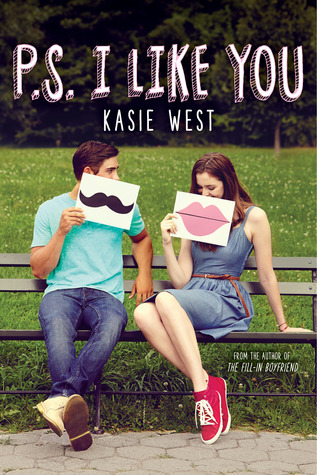 However, I recently read PS I like you and wasn’t the biggest fan because of how obvious the storyline was and how the characters were a little overdone, too stereotypical and not very easy to connect to. However on the other hand, I can see that was the whole point of it so not sure where I stand at the moment with Kasie West novels! Haha, you’re welcome, always happy to help increase those TBRs 😉 Yay, Anna is really good! That reminds me it’s about time for a re-read! Omg great list Lindsey! I haven’t read a lot of books on this list, but hey I am working on it! *coughs* I looooved Fangirl though, it was so cute and JUST DOWNRIGHT ADORABLE. Prabhleen recently posted…THE BOOK SACRIFICE TAG!